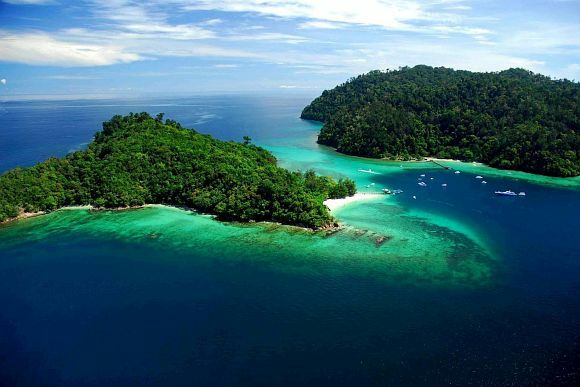 Connect with nature on this 12 day holiday in Malaysia and Borneo! Start your break in style with Business Class flights to Kuala Lumpur, where you'll spend 3 nights. 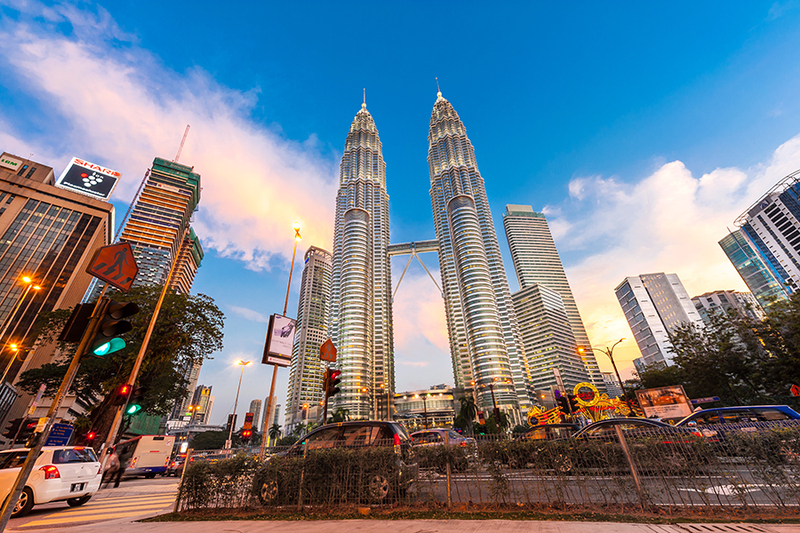 Visit the Petronas Towers, discover tasty Malaysian street food, or simply shop til you drop. 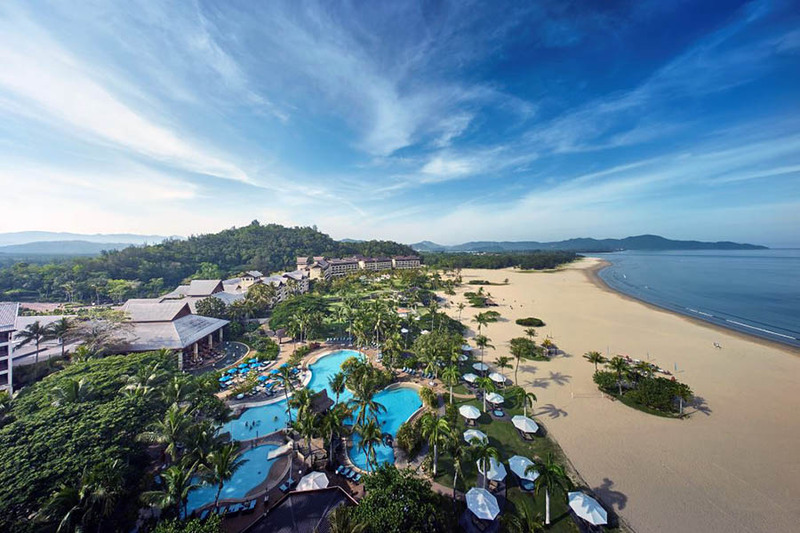 Next, you'll fly to the beautiful Malaysian island of Borneo for a week amongst nature's finest; trek through jungles, visit orangutans at Sepilok and take a relaxing dip in Poring hot springs before unwinding in the comfort at your luxury resort on Gaya Island! Nature and wildlife lovers will have much to remember from this trip; see Malaysia's highest peak - Mount Kinabalu, under its shadow, wander through the Oak-chestnut forests at Kinabalu Park, before resting and unwind in the hot springs at Poring. To get acquainted with some of Borneo's most famous residents, visit Sepilok rehabilitation centre and meet orphaned Orangutans - a real highlight of any trip to Borneo! Trek into the jungles of the Danum Valley for stunning views over Borneo, before heading to Gaya Island for some down-time in your luxury resort - the perfect end to your Malaysia and Borneo holiday. On arrival into Kuala Lumpur you will be collected by private transfer and taken to your 5* hotel for a 3 night stay. You have two free days to explore the Malaysian capital of Kuala Lumpur! Why not try the local cuisine and famous Malaysian street food, or take a tour round the city including a visit to the Petronas Towers. We can help organise any day trips including a visit to Batu Caves, home to one of the most popular Hindu shrines outside of India. Today you'll fly from KL to the island of Borneo. Once you land in Kota Kinabalu, you’ll be met by your private driver and taken to your hotel, where you will check in for your 2 night stay. Once you have had time to settle in and find your bearings, your driver and guide will meet you in your hotel lobby and take you on an afternoon tour focussing on traditional living in Borneo. You’ll get to discover the unique architecture of tribal houses while at the cultural village, experience the traditional way of life, and spend the afternoon enjoying the serene jungle environment. To complete your Borneo experience, you will treated to a live presentation of music and dance, and tuck into a traditional cuisine unique to the Sabah region. After breakfast at your hotel, you’ll head off to Kinabalu Park, one of the most biologically diverse areas in the world. Mount Kinabalu is located here, which is the highest mountain in Malaysia, and towers majestically at 4,095 metres. From the Oak-Chestnut forest, you will proceed to the lowlands forest at Poring. 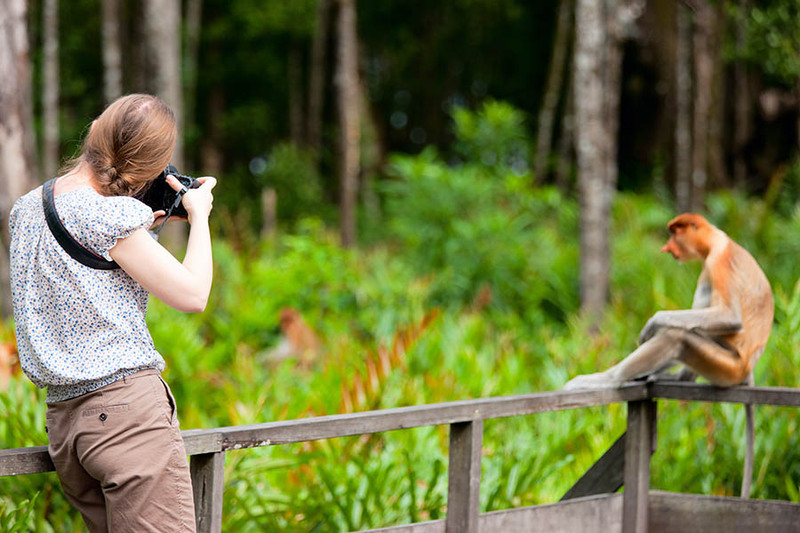 Cross the canopy walkway for bird's eye views and a gentle stroll amongst Borneo's indigenous butterflies and birds and lookout for 'epiphytes' (a plant that grows upon another plant!) on the treetops. If time permits, you can choose to take a dip in the Poring Hot Springs where the sulphuric content of the natural springs are said to have therapeutic value. After breakfast, you'll be collected and taken to the airport to meet your domestic flight to Sandakan. On the other side, you will be met at the airport and taken to Sepilok Rehabilitation Centre. 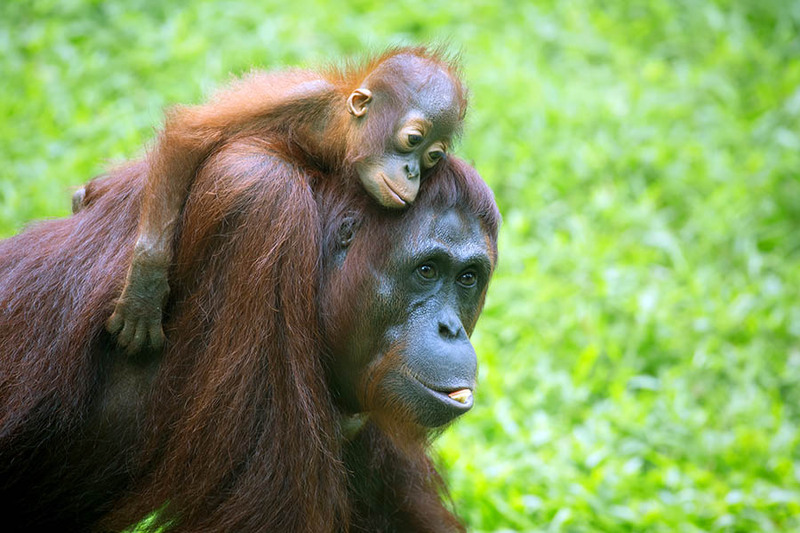 The Orangutans here are orphaned, usually as a result of logging sites or illegal hunting, and are rehabilitated before being released into the wild. 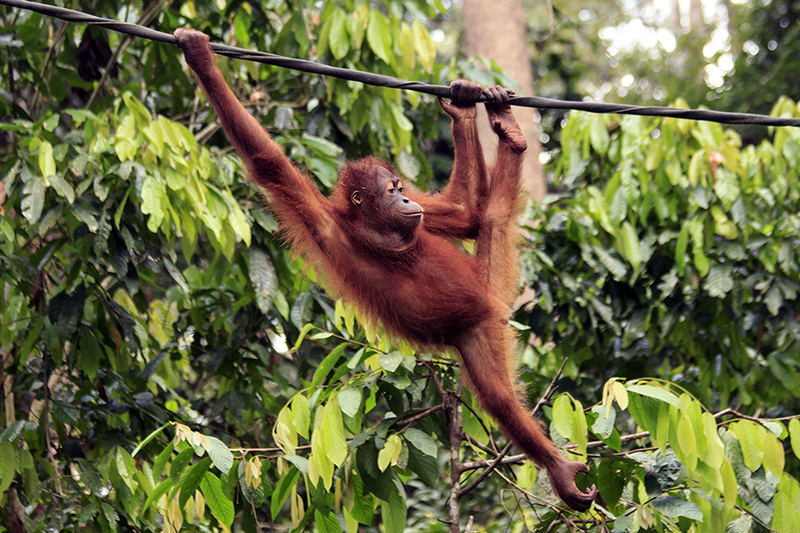 The rehabilitation centre is a must-see for animal lovers and for anyone visiting Borneo! After lunch, you'll be taken by boat to Sukau village before taking a 2 hour river cruise to see more of Borneo's indigenous primates - the Proboscis monkeys - as they settle down on the treetops along the Kinabatangan River. At your lodge, you'll be served dinner – and after such a busy and fascinating day an early night will surely follow! Today you'll travel overland to Danum Valley conservation area via Lahad Datu. In the afternoon you’ll enjoy a fantastic guided nature trail, before continuing on to the Canopy Walkway. This really is something to remember, so bring your camera along! Depending on the weather, you may be able to take part in a night drive where you will travel around in an open-air truck in search of nocturnal animals. 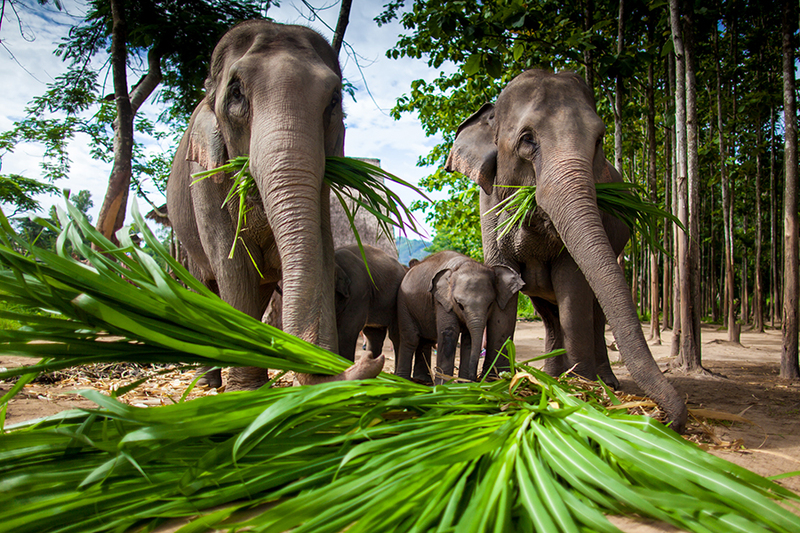 Spend today exploring the jungle! Start with a trek to the Kadazandusun burial site and then trek to the View Point for a simply stunning bird’s eye view of Danum Valley and the Borneo lowland rainforest. After a morning of trekking, descend to the jacuzzi pool for a well-earned dip! From here there are a couple of optional activities – you can go water tubing along the Danum River, or trek along the Segama River. Weather permitting, there is another opportunity to go on a night walk around the lodge and search for nocturnal animals. After breakfast at your hotel, it is time to head to Lahad Datu Airport and fly to Kota Kinabalu. Upon your arrival you will be met and taken to Sutera Harbour Marina, where you will travel by boat to Gaya Island for your 2 night stay. This is your rest & relaxation day, left completely free for you to enjoy the hotel, its facilities, and the surrounding area. Take time to relax, pamper yourself, and truly unwind. Your time in Borneo has to come to an end today. A boat will take you back to Sutera Harbour Marina, and you will then be transferred by land to the airport to meet your onward flight. If you wish to spend a few more night in Gaya Island, or like the idea of adding in a spot of diving and snorkelling, just get in touch and we can put together a bespoke itinerary just for you. Borneo has year-round temperatures of between 27-32 degrees. Humidity is around 80% for most of the year, meaning it is hot and wet. Most areas of Borneo average around 220mm of rainfall a month with the heaviest rainfall generally occurring between November and April. 10 nights in 4/5* standard accommodation.